I am an Assistant Vice President of Academics, Associate Professor of Education, and Director of the M.S. in Educational Design & Technology at Concordia University Wisconsin. I completed my undergraduate studies with a B.A. in education, history, and theology. I also have a M.A. in curriculum and instruction, a Master of Liberal Studies, and an Ed.D. in instructional technology. I am a frequent speaker on topics related to digital age teaching and learning, educational innovation, online learning, and futures in education. I also serve as an education and digital culture consultant for P-20 learning organizations, various non-profits, as well as for-profit organizations with a focus upon educational innovation and entrepreneurship. Come explore the why and how of self-directed learning. According to Alvin Toffler, “The illiterate of the 21st century will not be those who cannot read and write, but those who cannot learn, unlearn, and relearn. While traditional literacy remains an important life skill in the 21st century, this quote points to the importance of learning how learn. With that in mind, what does it take to develop the competence and confidence necessary to thrive as a self-directed learner? In 1888, John Milton Gregory published The Seven Laws of Teaching, proposing a list of principles for effective teaching. His list is over a hundred years old, but it reads like it could come from contemporary University education programs. Building upon Gegory's original ideas, this presentation will change the focus from teacher-directed instruction to self-directed learning, proposing seven (plus one) principles that can help people thrive as learners in formal and informal environments. Dr. Maria Droujkova is a curriculum developer and mathematics education consultant. Maria brings together leaders in mathematics education, researchers, developers, parents and teachers for projects and discussions of family mathematics, early algebra, individualized instruction, math games and math clubs. Patrick Farenga worked closely with the author and teacher John Holt until Holt’s death in 1985. He is the President of HoltGWS LLC and was the Publisher of Growing Without Schooling magazine (GWS) from 1985 until it stopped publishing in Nov. 2001. GWS was the nation’s first periodical about homeschooling, or as Holt termed it, unschooling, started by Holt in 1977. Farenga co-authored Teach Your Own: The John Holt Book of Homeschooling (Perseus) and wrote The Beginner’s Guide to Homeschooling (Holt Associates); articles about homeschooling, education, and unschooling in a number of publications, including Un Mundo Por Aprender (University of Colombia, Bogota, 2011), and the entries about homeschooling for the International Encyclopedia of Education, 3rd Edition (Elsevier, 2010) and the online edition of Encyclopedia Britannica (2012). What is the role of the teacher when children learn on their own? Self-directed learning (often called unschooling) is sometimes thought to be teacher-less learning by children, but that is not completely true. The role of the teacher is different when the child decides when, where, how, and from whom to learn, and the context and purposes of teaching are radically different in this configuration. However, it is not a new configuration. Many teachers and philosophers during the last half of the twentieth century anticipated the backlash to institutional, standardized learning and outlined how teachers can help people learn independently. In the twenty-first century we have social, economic, and technological changes that support independent learning outside of schools as never before. This talk traces the development of this new role for teachers and outlines how a different kind of teacher is emerging from the ferment of unschooling, democratic schools, technology, and social perceptions about children in society. Ian Jukes is a teacher, administrator, writer, consultant, university instructor, and keynote speaker. He is the founder and Executive Director of InfoSavvy Group, an international consulting group that provides conference keynotes and workshop presentations, as well as leadership and program development in the areas of assessment and evaluation, strategic alignment, curriculum design and publication, professional development, planning, change management, hardware and software acquisition, information services, customized research, media services, and online training. Jukes is also the creator and co-developer of TechWorks, the internationally successful K-8 technology framework, and was the catalyst of the NetSavvy and InfoSavvy information literacy series. He has been a contributing editor for several journals and magazines and is the author of the recent books Teaching the Digital Generation, Literacy Is Not Enough and Living on the Future Edge: Windows on Tomorrow. He has written 12 books and nine educational series, and had more than 100 articles published in various journals. He is also the publisher and co-editor of The Committed Sardine Blog, which is electronically distributed to more than 90,000 people in over 60 countries. David V. Loertscher has degrees from the University of Utah, the University of Washington and a Ph.D. from Indiana University. He has been a school library media specialist in Nevada and Idaho at both the elementary and secondary school levels. He has taught at Purdue University, The University of Arkansas, The University of Oklahoma, and is presently a professor at the School of Library and Information Science at San Jose State University. 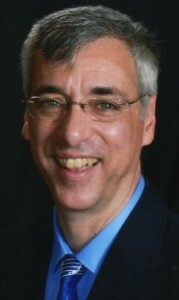 He served as head of the editorial department at Libraries Unlimited for ten years and is President of Hi Willow Research & Publishing (distributed by LMC Source at www.lmcsource.com). He has been a president of the American Association of School Librarians. In an information-rich and technology rich environment, the possibilities for deeper learning, particularly inquiry projects touted by Common Core or other school improvement initiatives is tremendous. Instead of isolated classroom experiences, classroom teachers who partner with building specialists to construct flatter, networked learning rather than the traditional top-down direct teaching structure provide many expanded opportunities. In this presentation, we will examine the instructional designs used by pairs of adults that develop personal expertise, cooperative group work and collaborative intelligence. It becomes a matter not just in “covering” material, but concentrates on the number of learners who exceed normal expectations. Preliminary results from a current research project will be discussed. Former public librarian Cindy Mediavilla is Library Programs Consultant for the California State Library and part-time lecturer at the UCLA Department of Information Studies. She is also a well-known workshop presenter on topics related to leadership, outcomes measurement, and after-school homework help. In addition, Cindy is a freelance consultant and has managed and/or evaluated several library projects throughout Southern California over the past two decades. Most recently, she helped create the Innovation Leadership Program, a one-of-a-kind residency program at the Los Angeles Public Library. She was also responsible for organizing the From Interns to Library Leaders (FILL) project in the early 2000s, which she describes in her book Public Library Internships: Advice From the Field (Scarecrow Press, 2006). 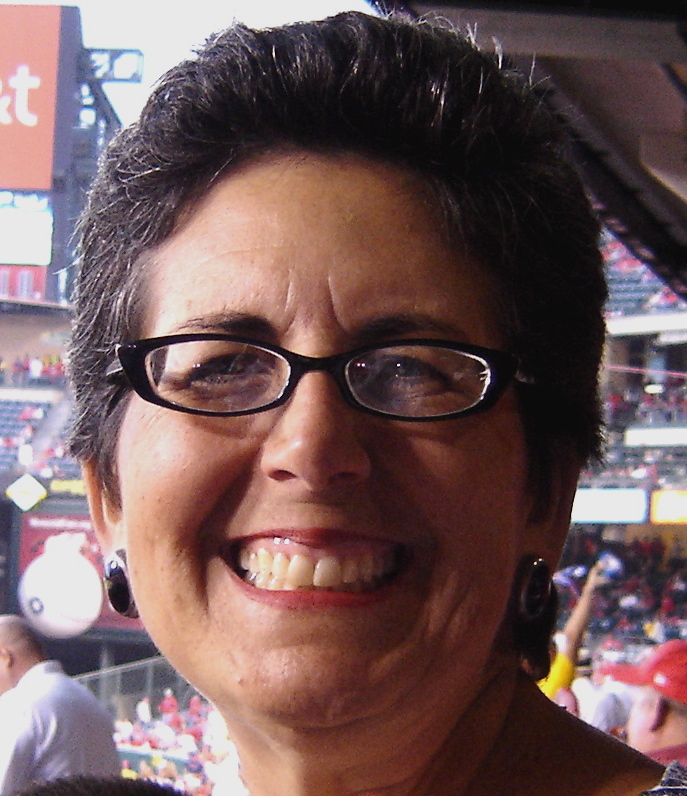 Cindy’s doctorate and master’s degree in library science are both from UCLA. Bernajean Porter, a digital educator, works globally as a futurist enticing educators and their communities into new stories of possibilities. She is a seasoned featured international professional speaker, author, H.E.A.T. maker, strategic conniver, media maker, debate coach, online teacher of teachers, workshop leader, futuring coach, enthusiastic promoter of ANYTHING increasing joy, spirit and outrageous possibilities in all aspects of life for kids and adults and now . . . a passion for digital storytelling’s KLOUT in the world along with being a renown avatar educator [Bernajena] who can be found teaching and learning in 3D virtual worlds. When it comes to doing the hard or impossible things now necessary in schools to ensure all students are prepared to literally inherit the earth, Bernajean’s personal motto of “Da Um Jeitinho”- there is ALWAYS a way – let’s make IT happen together - sets the tone for her dedicated long, term work with educators. No one can force change on anyone else. Unless it is experienced personally . . . by large numbers of people, change will remain a myth. - Eric Trist. How can communities be engaged as well as enchanted with designing and realizing new visions for learning that prepare students to thrive in multiple, unknown futures? The fast pace of change is challenging our understanding of what students NOW need to enter a world we can't begin to imagine. More important, how can we ensure that students are strong academic partners in preparing literally for inheriting the earth? Howard Rheingold, an influential writer and thinker on social media, is the author of Tools for Thought: The History and Future of Mind-Expanding Technology, The Virtual Community: Homesteading on the Electronic Frontier (both published by the MIT Press), and Smart Mobs: The Next Social Revolution. A full autobiography is available (and worth reading) at Howard's website. Carlo Ricci is a full Professor at the Schulich School of Education, Nipissing University, Graduate Studies. He founded and edits the Journal of Unschooling and Alternative Learning (JUAL). He has published a number of books and articles. Among the books he has written and edited are, The Willed Curriculum, Unschooling, and Self-Direction: What Do Love, Trust, Respect, Care, and Compassion Have To Do With Learning? (2012); The Legacy of John Holt: A Man Who Genuinely Understood, Trusted, and Respected Children (co-edited with Pat Farenga) (2013); Turning Points: 35 Educational Visionaries in Education Tell Their Own Stories (co-edited with Jerry Mintz) (2010); Natural Born Learners: Unschooling and Autonomy in Education (co-edited with Beatrice Ekwa Ekoko (2014). His research interests include Unschooling; Homeschooling; Holistic Education; Self-determined Learning; Free Schools; Democratic Schools; Online Learning; Technology and Learning; Play; Natural Learning; Curiosity; Willed Learning; and the Willed Curriculum. In this interactive session we will explore what love has to do with learning. In the spirit of holism we will begin with ourselves in an attempt to come to a deeper understanding of how important of a role love plays in learning. To this end I will share my thoughts on the willed curriculum, personal learning, and self-determined learning. Learning in a loving way is authentic, creative, and empowering to the learner. This largely stands in contrast to an approach to learning that is top/down, externally imposed, and filled with manipulative teaching learning strategies. Stephanie Sandifer is an educator with nearly 20 years of experience educating children and adults at all levels. She currently teaches online at the college and high school levels, serves on the Advisory Board for A+ Unlimited Potential (a new innovative middle school located within the Houston Museum District), and on the Advisory Board for the SXSWedu Conference. She is also a co-organizer for EdCamp Houston. As a K-12 and college-level educator she has over 15 years of experience in the classroom — face-to-face and online in virtual school settings. Additionally, she has 10 years of experience in leadership roles that encompass a wide range of school administration and curriculum/instructional/technology leadership including the development, delivery & facilitation of professional development. Stephanie lives in Houston, Texas, and works from home as an online educator, technology coach, author, professional development provider, and consultant. She shares her life with three young children, a very supportive partner, two yellow labs, and two cats. How can we combine mobile technologies with community and cultural resources to remove the walls that separate school from community to transform the learning experience into a more personalized and engaging learning experiences with improved academic and social growth for our students? Former Professor at Stanford, Yale, and Northwestern. Now full time education revolutionary. Dr. Schank is the Chairman and CEO of Socratic Arts, Inc. a company that delivers Story Centered Curricula to schools and businesses. Dr. Schank is also the Executive Director and founder of Engines for Education, Inc. In an advisory capacity, he was Chief Learning Officer of Trump University. He was Chief Education Officer of Carnegie Mellon West and Distinguished Career Professor in the School of Computer Science at Carnegie Mellon University from 2001-2004. 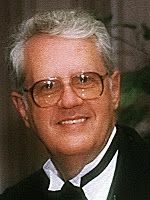 He founded the renowned Institute for the Learning Sciences at Northwestern University in 1989 where he is John P. Evans Professor Emeritus in Computer Science, Education and Psychology. From 1974-1989, he was Professor of computer science and psychology at Yale University, Chairman of the Computer Science department, and Director of the Yale Artificial Intelligence Project. He was a visiting professor at the University of Paris VII, and Assistant Professor of Computer Science and Linguistics at Stanford University and research fellow at the Institute for Semantics and Cognition in Switzerland. He is a fellow of the AAAI and was founder of the Cognitive Science Society and co-founder of the Journal of Cognitive Science. He holds a Ph.D. in linguistics from University of Texas. In 1994, he founded Cognitive Arts Corp, a company that designed and built high quality multimedia simulations for use in corporate training and for on line university level courses. The latter were built in partnership with Columbia University. In 2002 he founded Socratic Arts Inc, a company that is devoted to make high quality e-learning by doing affordable for both businesses and schools. He is the author of more than 20 books on learning, language, artificial intelligence, education, memory, reading, e-learning, and story telling. Some recent ones are Coloring Outside the Lines: Raising a Smarter Kid by Breaking All the Rules, Engines for Education, Making Minds Less Well Educated Than Our Own, and Designing World Class E-Learning, Lessons in Learning, e-learning, and training: perspective and guidance for the enlightened trainer. What might high school look like if we really thought about re-designing it in a serious way? By this I mean, in a way that ignores what text book makers, test makers, Common Core advocates, and teachers who do not want to change how they teach want. Or, to put this another way, how can we make high school, fun, exciting, useful, and something that sends children off on a path that reflects their own interests and passions? Michael Strong has founded or co-founded several small private and charter schools, including a charter school ranked the 36th best public school in the U.S. He is the author of The Habit of Thought: From Socratic Seminars to Socratic Practice and the lead author of Be the Solution: How Entrepreneurs and Conscious Capitalists Can Solve All the World's Problems. He is most focused on scaling the human side of education through the creation of consciously designed subcultures to support learning. I am a consultant educational technologist and community of practice coach, developer and researcher. I consult to educational organisations and institutions such as the Indiana University's Quest Atlantis program, coach in a number of online educational programs and research issues of virtual worlds, games in learning and how we can cultivate identity, agency, leadership, and community for students and teachers in these environments. 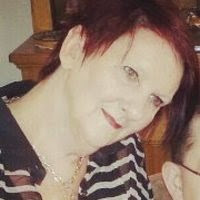 I have been engaged in teacher professional development and educational community development for over 10 years from my doctoral study of 12 successful online communities through to designing and facilitating communities of practice and coaching with Etienne Wenger in communities of practice workshops. I host Community Capers, a blog to share case stories of, and develop dialog about, communities of practice. Most recently my focus has been on teacher learning in formal and informal professional communities and networks. Part of that focus has been with the a mashup of tools to support teachers in the global Quest Atlantis virtual world program . I also support student community and participatory design of virtual world spaces for student leadership, mentoring and collaborations. Aside from research I am convenor of the global Quest Atlantis Teacher Community and leader of the burgeoning Student Congress in the virtual world. This session will be a discussion of what games like Minecraft mean to learning. The Minecraft Experience is a crowd sourced activity to explore all the reinventions this quirky game is having in homes, families, schools, and clubs around the world. The wiki is a curation and commentary on a broad spectrum of implementations of Minecraft and evidence of how social sandbox games relate to learning. We invite all those with a relationship to this game to share their stories! 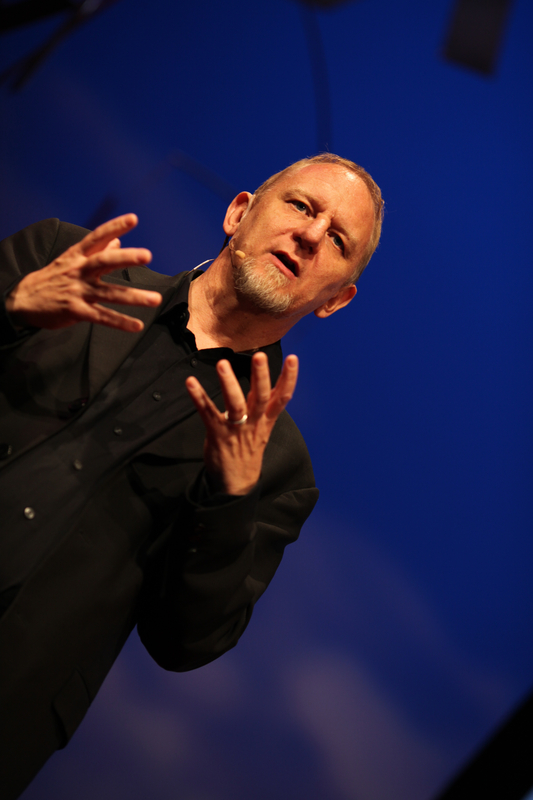 Mark’s passion is to communicate how we can best prepare all learners for the world they will live, work and play in. Based on the latest research into how the brain learns, Mark has developed a learning framework that provides educators with a developmental schema for how learning takes place. The learning process lays the foundation for building greater learner agency (ownership) over their learning. Through an understanding of the learning process, all learners are able to build their capacity for lifelong learning. In 2012 an extraordinary experiment was carried out by a group of scientists. They injected some human brain cells, called astrocytes, into mice embryos. When the mice were born their brains had a high proportion of human astrocytes and had noticeably changed in structure. When the scientists tested these mice for intelligence they were stunned to discover that the speed at which they learned had increased by 300%. Our ability to apply the Learning Process efficiently and effectively underpins our capacity to survive. Our ability to survive depends on our unique human capability to be able to make increasingly accurate predictions and therefore predict what our future needs and opportunities may be. By being able to successfully make predictions we can anticipate and prepare for those predictable, possible futures. Downloadable resources from Mark are available from this page. When MOOCs first came to public attention in 2012, concerns about the rising cost of college and the rising student debt load dominate higher education policy. Coursera and edX, by offering free courses - with certificates of completion - from the top professors at the top global universities promised to solve the college crisis with free, world-class education for all. It is now well known that the traditional college student group - those 18-22 - make up only a small part of the total MOOC audience. Several other audiences are larger: particularly those seeking post-collegiate professional development, and those seeking intellectual enrichment. In response, organizations outside of the higher education sector - government agencies, professional organizations, business firms, non-governmental public organizations, museums and libraries - have responded by serving these audiences with MOOCs. The presentation will consider the implications of these developments for the higher education sector. Steve Wheeler is Associate Professor of Learning Technologies at Plymouth University. Originally trained as a psychologist, he has spent his entire career working in media, technology and learning, predominantly in nurse education (NHS 1981-1995) and teacher education (1976-1981 and 1995-present). Steve teaches on a number of undergraduate and post-graduate teacher education programmes in the UK and overseas. He researches into e-learning and distance education, with particular emphasis on the pedagogy underlying the use of social media and Web 2.0 technologies, and he also has research interests in mobile learning and cyber-cultures. Steve has given keynotes and invited lectures to audiences in more than 30 countries across 5 continents. Steve is the author of more than 150 scholarly articles, with over 3000 academic citations and is an active and prolific edublogger. His blog Learning with ‘e’s is a regular online commentary on the social and cultural impact of disruptive technologies, and the application of digital media in education, learning and development. Steve is chair of the Plymouth e-Learning Conference, and between 2008-2011 was also co-editor of the journal Interactive Learning Environments. 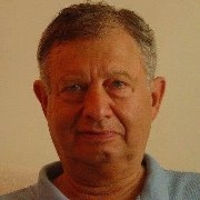 He serves on the editorial boards of a number of learning technology and education related open access academic journals including Research in Learning Technology (formerly ALT-J), the International Review of Research in Open and Distance Learning (IRRODL), the European Journal of Open, Distance and eLearning (EURODL) and Digital Culture and Education. He has served on the organising and executive committees of a number of international academic conferences, including ALT-C, ICL, EDEN, IFIP and AICT. In 2008 Steve was awarded a Fellowship by the European Distance and E-learning Network (EDEN), and in 2011 he was elected to serve as a member of the Steering group of EDEN’s Network of Academics and Professionals (NAP). Between 2008-2013 he also served as chair of the influential worldwide research group IFIP Technical Committee Working Group 3.6 (distance education) and is author of several books including The Digital Classroom (Routledge: 2008) and Connected Minds, Emerging Cultures (Information Age: 2009).